The iconic leather jacket has a change of spirit and is reworked along more feminine lines. 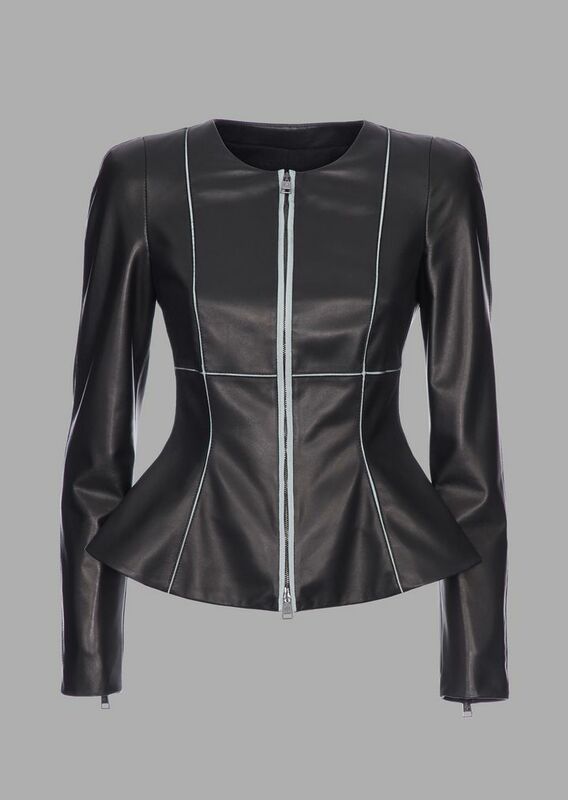 Jacket made from soft lambskin leather with a corolla-shaped flared hem and contrasting grosgrain details that enhance the cut of the garment. Zip closure.